Experience the next generation in MMO RTS gameplay with Call of Gods, a blend of simulation and strategy. 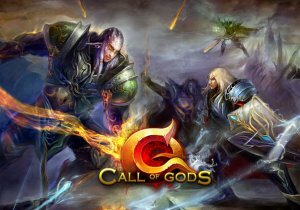 lekoolgames who publish Call of Gods have just announced the launch of a brand new server, their 15th server. The New server of Call Of Gods called “Morta”, launches on June 22, 2016 at 7:00 PM PST. Call of Gods, is a browser based RTS/RPG game. In keeping with the traditional core style, players create a human, elf, or undead hero and venture out into a massive fantasy world where they can progress through elaborate quest arcs, fight their way with other players through challenging dungeons, amass armies, and ultimately build a powerful castle stronghold within your race’s kingdom. COG also features an in-depth and interactive game guide to help your journey in the game. The game features beautiful graphics, Arena System and Alliance system. Fight with players of different servers to prove your might and bring glory to your server in the Cross Server Championship. GamesCampus has announced the next round of closed beta testing for Legend of Edda: Vengeance will begin on February 14. Factorio is an indie simulation strategy game of epic proportions.